I love making hand-bound books, and I was really pleased with how this ribbon bound album turned out. 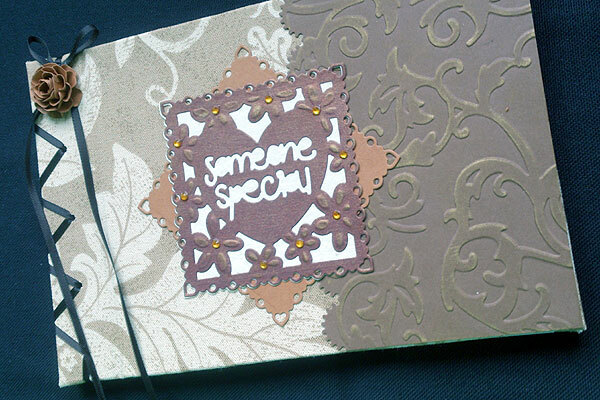 The cover is fabric and then to decorate further, I added some card embossed with one of the lovely new embossing folders, and a Someone Special Die. 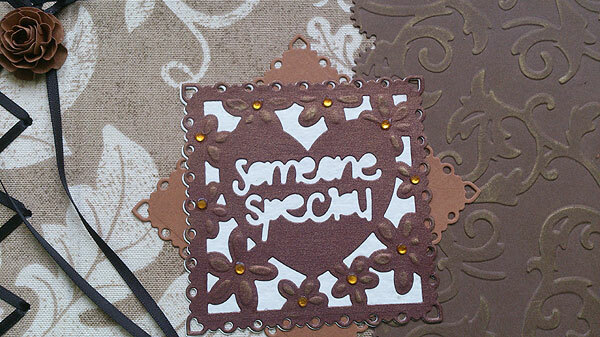 The little flower on the left is made using a Petal Pairs punch. 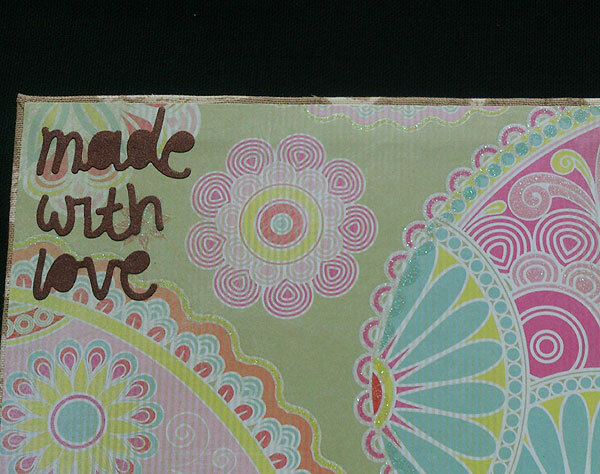 On the inside of the book, I used the letters from the made with love die. 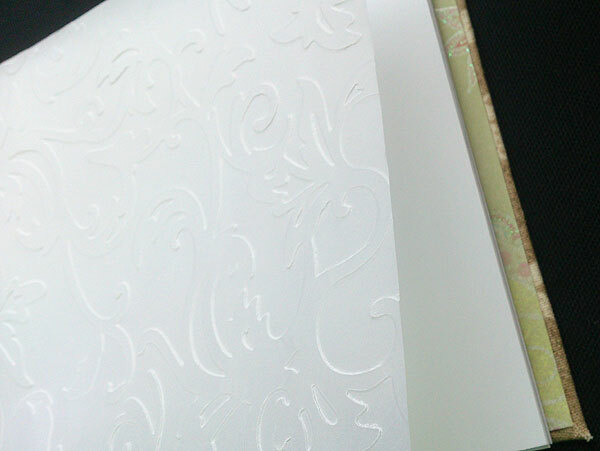 The first page of the book is a cover page made of vellum also embossed with the same embossing folder. Don't forget to catch Jodie on Ideal World. See their website or our Facebook page for schedule.